We wanted to keep Jimmy Mac On Two Wheels ad free, but mounting expenses have forced us to partner with a carefully chosen and respected sponsor. We can assure you that accepting this advertisement will not in any way shape our editorial coverage. 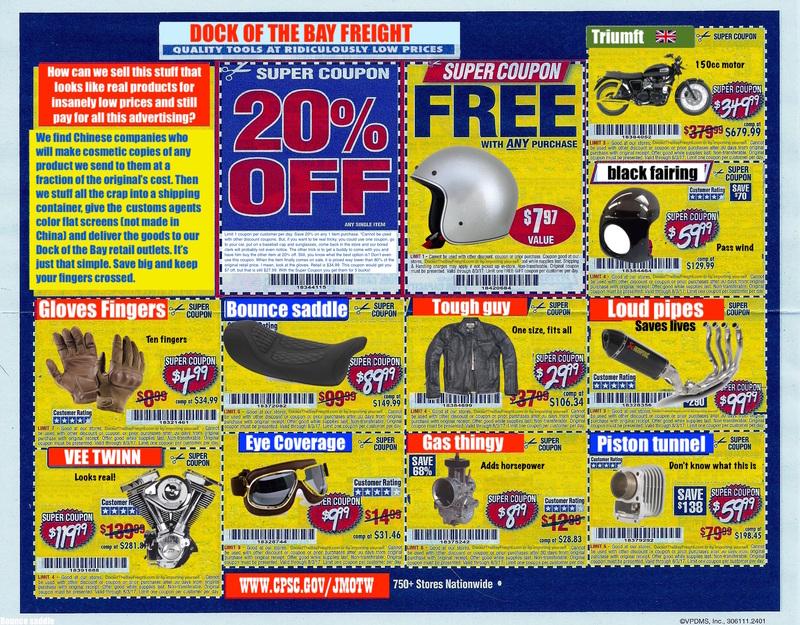 And have we told you how awesome and trouble-free all the great products from Dock of the Bay Freight are? Go out and buy some today.